During the 3rd Year Apprentice program, seasoned apprentices gain a greater understanding of the Brotherhood and the construction industry, and of the role union members play in the success of both. Participants learn how professionalism, productivity, skill, and attitude contribute to their own success as well as that of their employers. CLICK HERE to open and download a brochure with more information on the 3rd Year Apprentice Program. Journeymen develop leadership, mentoring, coaching, and communication skills, and learn to engage with newer members and lead by example, all while promoting positive work environments and productivity on the job. CLICK HERE to open and download a brochure with more information on the Journeyman Program. CLICK HERE to open and download a brochure with more information on the 212 Journeymen Program. This program focuses on leadership, communication, entrepreneurship, coaching, and collaboration among the parties of a building project, such as the contractor, general contractor, project manager, facility manager and the owner. CLICK HERE to open and download a brochure with more information on the Collaborative Leadership Program. This course highlights the importance of leadership and management skills on the job. 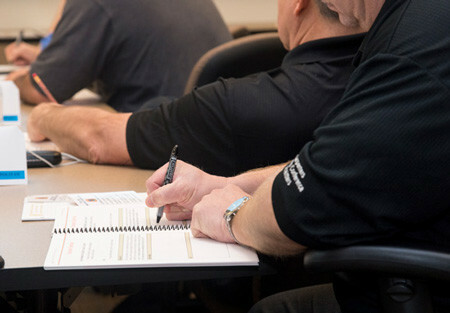 Participants are provided with the tools and techniques for success in their positions back home and receive guidance for balancing planning, communication and production responsibilities during a project. CLICK HERE to open and download a brochure with more information on the Foreman Training Program. This four-day program reinforces the leadership role that elected council delegates play in their locals, their councils, and in the greater UBC. Participants hone skills as communicators, advocates, mobilizers, coalition builders, and politically active union citizens. CLICK HERE to open and download a brochure with more information on the Delegate Training Program. Two versions of this program help to align staff with key principles introduced in the Journeymen, Mentoring and 3rd Year Apprentice programs, so they are able to help reinforce those principles back home. Customized for either Council or JATC staff, the program focuses on helping to achieve the Brotherhood’s goal of 70% market share. CLICK HERE to open and download a brochure with more information on the Leadership Program.